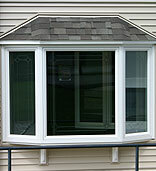 Suburban Construction and quality windows by Associated Materials Inc or AMI, set the standard by which other replacement windows are measured. Innovation has resulted in a collection of windows that are designed and engineered to provide beauty, performance, ease of operation, virtually no maintenance, and increased energy-efficiency. 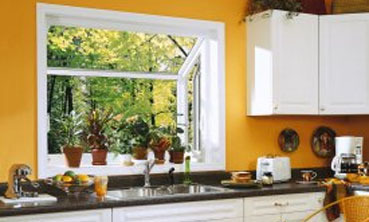 All Suburban replacement windows are made with fully extruded virgin vinyl frames and sashes for durability and beauty with no chipping, peeling, cracking or warping. All colors are formulated right into the vinyl, so the color never fades and your windows will never need painting or staining. 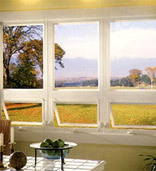 Airtight insulating chambers and insulated glass units provides energy-efficient performance throughout every season. And all Suburban windows will operate easily, even after decades of regular use, thanks to the stainless steel, high performance Constant Force Balance system. 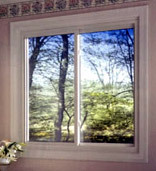 Design you own windows using Associated Materials Windows Design Program and then schedule a free estimate to learn how we can make your window designs a reality! For even more information about our different styles click the links below. Please enter the number 98448 in the box provided below.